Let’s take a look at how I create this card. 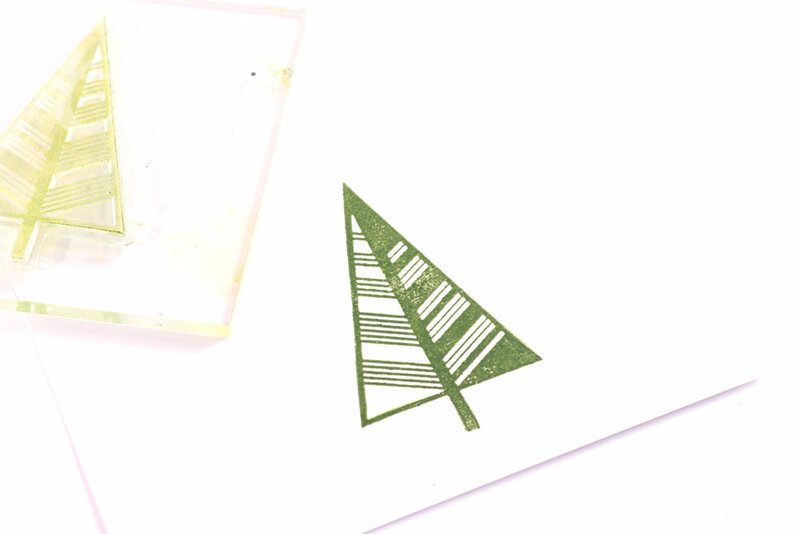 step 1 – Stamp a Christmas tree image onto a card panel using green. tree using some low tack adhesive to only keep it in place temporarily. 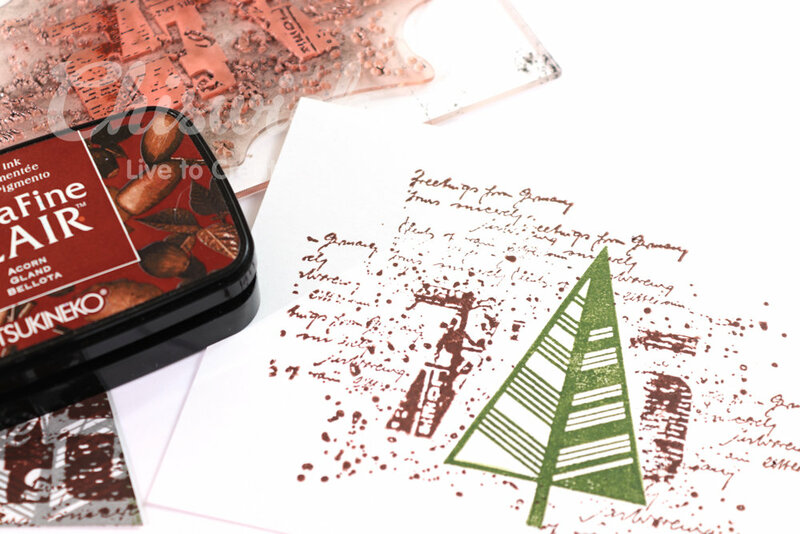 step 3 – Ink your 715 stamp from your stamp set using brown ink and stamp over the masked tree. 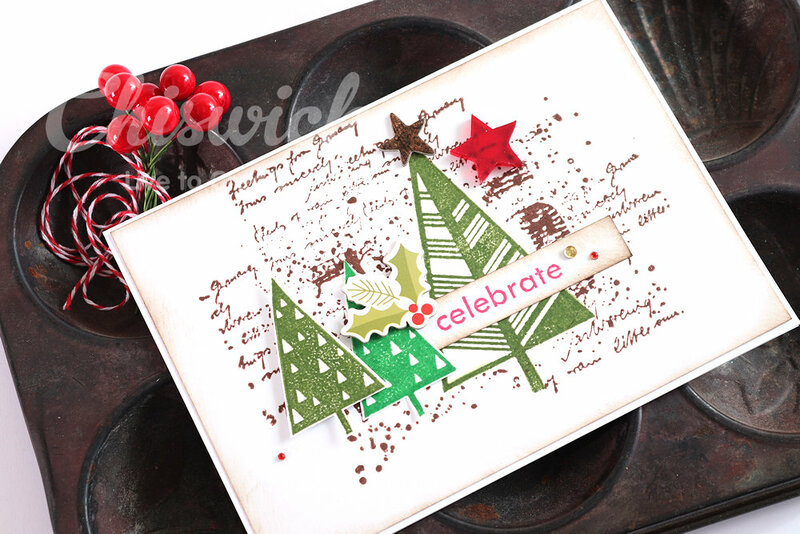 Remove the masked tree – see how the green tree that you stamped first is still perfect, but now it has a gorgeous background all around it. 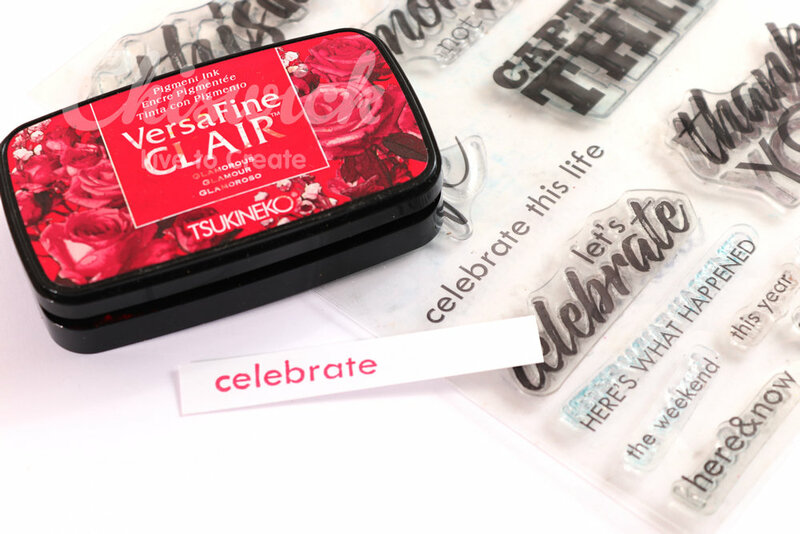 portion of the ‘celebrate this life’ stamp – making it even more versatile. 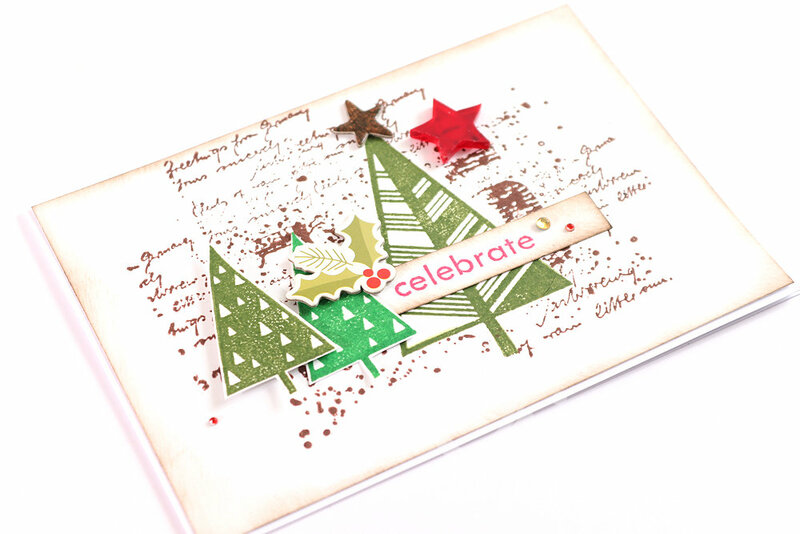 step 5 – Stamp extra Christmas trees and gather some festive embellishments to use on your card, then assemble everything. 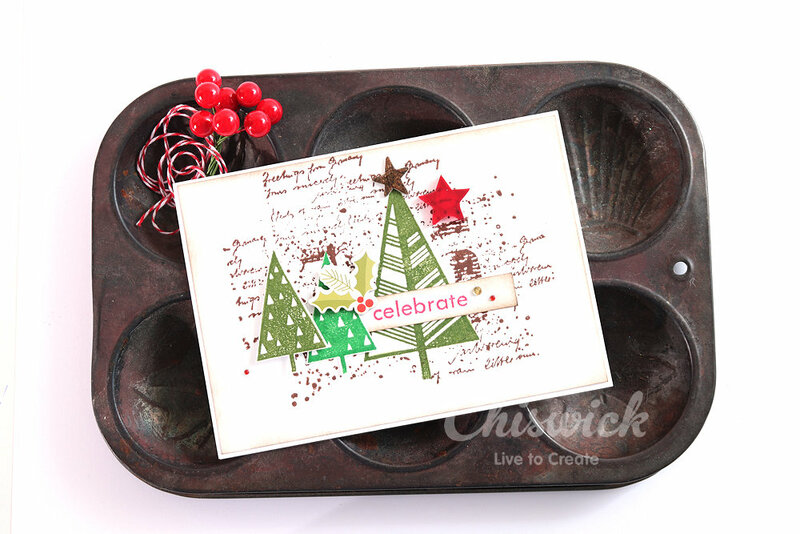 Adhere the panel to a folded card and there you have a gorgeous card using some of the really versatile stamps sets from Chiswick. 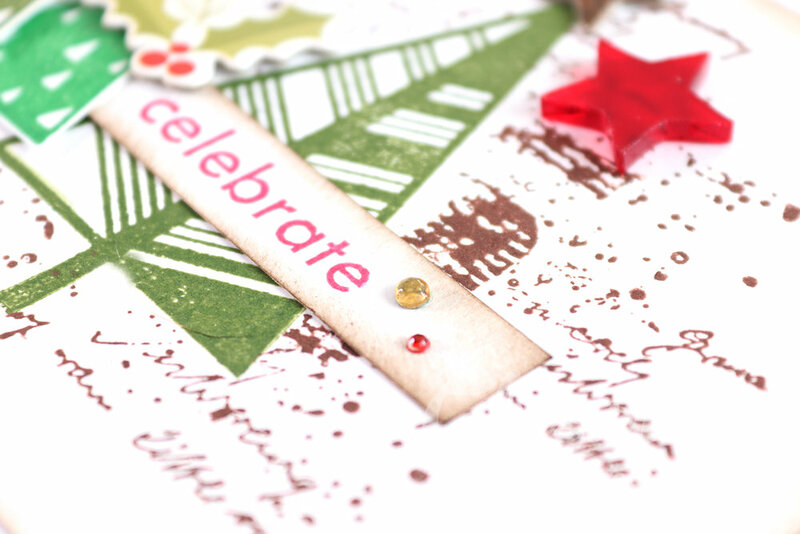 Have you started making your Christmas cards yet – well now if a good time? 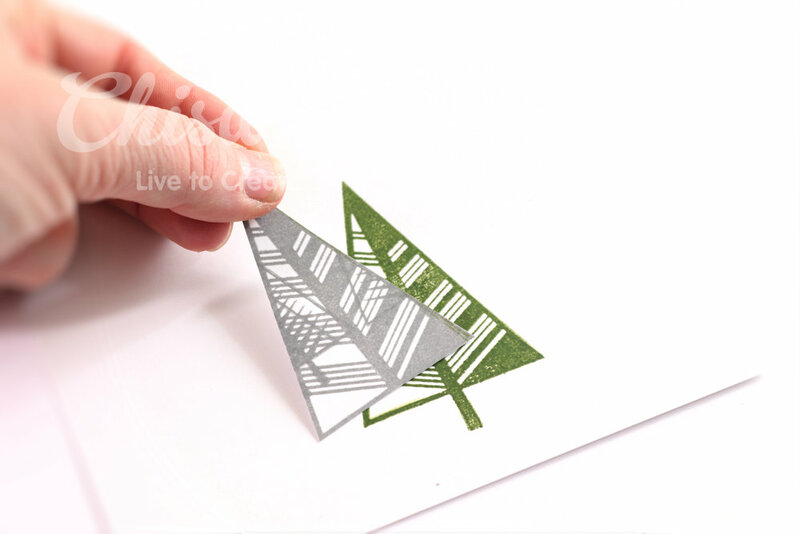 Hope you are inspired by this 10 minute card – perfect for mass production this festive season.